Médecins Sans Frontières/Doctors Without Borders (MSF) has launched an emergency intervention and continues to reinforce its teams in response to the outbreak of Ebola haemorrhagic fever in Guinea. 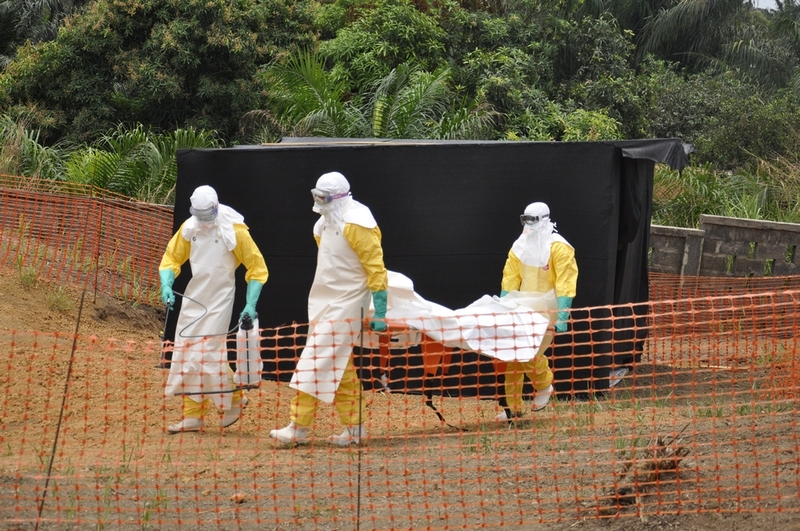 To date, Guinean health authorities have reported 134 suspected cases and 84 deaths. 52 international staff are working alongside Guinean MSF staff and in cooperation with Guinea’s Ministry of Health. They are active in Conakry, as well as in the provincial towns of Guekedou and Macenta in the east of the country. Currently 19 patients are being isolated and cared for in MSF’s isolation units in these locations. Field workers include doctors, nurses, epidemiologists, water and sanitation experts as well as health promoters and psychologists. “Our efforts are aimed at containing the outbreak, which is accomplished by detection of the sick and isolating them from the rest of the population,” says Anja Wolz, emergency coordinator in Conakry. “Although there is no cure for this disease, we can reduce its very high mortality by addressing the symptoms. This includes administering a drip to patients who have become dehydrated from diarrhoea and by confirming that they do not have a different disease, such as malaria or a bacterial infection like typhoid”. While the fatality rate of the Zaire strain of the Ebola virus can reach up to 90% (according to WHO), it varies according to the evolution of every outbreak. “We’ve learned from our previous experiences that we give 10 to 15% more chances to survive to the patients with a good medical support. But if they stay at home, the fatality rate reaches generally up to 90%,” says Michel Van Herp, MSF epidemiologist in eastern Guinea. In the capital Conakry, MSF has set up an isolation unit inside Donka hospital, which has a capacity of 20 beds. Currently, there are eight patients being cared for in this isolation unit. 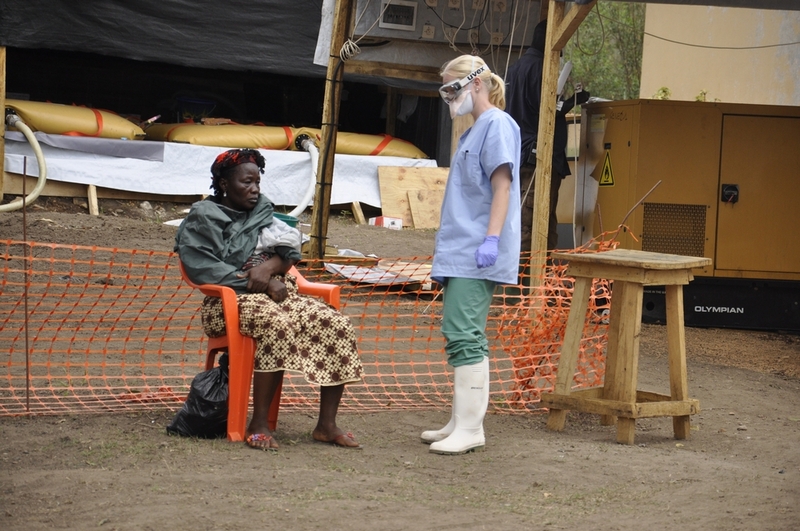 A woman went to the MSF structure as she thinks she may be infected by the Ebola virus. Sisille, an MSF nurse, talks to the woman to evaluate if she presents any symptoms of the disease. A training has been organised for the staff of the Donka hospital on the Ebola disease, the symptoms, hygiene measures to put in place, and on how to carry out triage of patients efficiently. Another training will soon be organised for Red Cross volunteers in order to improve the management of funerals and disinfection of the houses of affected people. The MSF team is now planning to start outreach teams in order to investigate alerts of potential other cases in the city. In Gueckedou and Macenta, a total of 11 patients are currently being cared for in MSF’s isolation units. Apart from isolating and caring for sick patients, an important activity is to investigate alerts of potential new cases. MSF teams are travelling to villages to refer suspected cases to the isolation units, and to disinfect their houses. An important activity is also the follow-up of people who have been in contact with the sick. 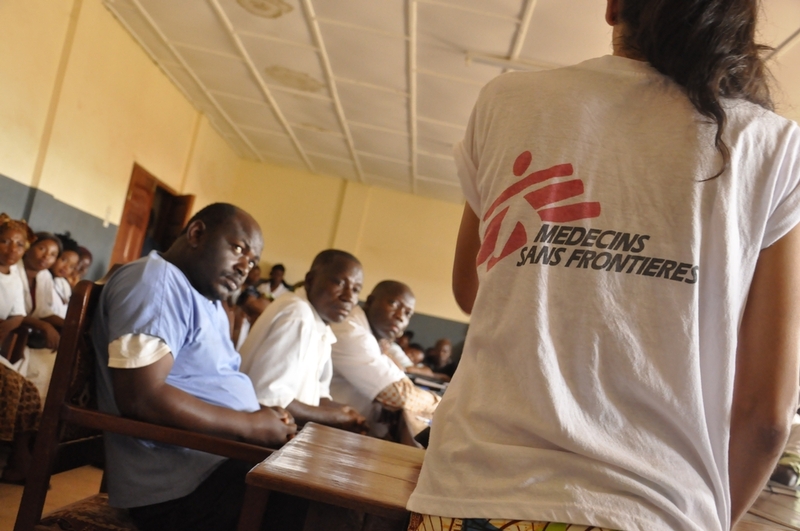 Monia Sayah, an MSF nurse, explains to the Guéckédou hospital medical team how the Ebola virus is transmitted and what they can do to protect themselves and their patients. Another important activity involves raising awareness among the communities about the disease, how to protect themselves and prevent the spread of disease. This involves spreading health promotion messages about the importance of basic hygiene, such as washing hands, which can significantly reduce the risk of transmission. MSF teams are also ensuring safe management of funeral practices as so that people are not at risk of catching the disease when touching or washing the body of a deceased Ebola patient. MSF also provides psychological support to the families of the victims as well as to local medical staff. There are currently two laboratories in the country – one in Conakry from Pasteur Institue (Dakar, Senegal) and another in Gueckedou from Bernhard-Nocht Institute of Tropical Medicine (Hamburg, Germany) – that allow for quick testing of suspected patients. “We are mobilising all the resources available but the response must be scaled up in order to combat the outbreak efficiently,” adds Anja Wolz. “It is important that other actors mobilise”. Two cases have been confirmed in neighbouring Liberia. MSF is monitoring the situation closely and is preparing to send medical teams and isolation materials to support Liberia’s health authorities, according to the development of the situation.